As an aside, I much prefer to read anything legal that is more than a page or two on actual paper. Part of that is because I like to read legal texts with a pen and highlighter and part of it is because I am—as my six-year-old son says—old school. It is best to concentrate your reading, at least for each individual brief, rather than reading a few pages here and there between calls. You want to get into a flow state of creative thinking, which will help you think about the arguments more clearly and freshly. Caffeine of some sort may help. I like green tea (with coconut oil or MCT Oil) and Yerba Mate. But most people will stick with coffee. Maybe try Bulletproof Coffee? Next, I’ll read the trial court decision. This is pleasant in this fictional exclusive dealing case, of course, because the trial judge decided in our favor. Again, I’ll print it out and read a clean copy, with my pen and highlighter ready for notes. I will break in with some description of how I take notes as I will do this during all aspects of the reading phase. While reading briefs, cases, and articles, I actively highlight and write notes in margins. My notes both highlight important parts of the case and reflect ideas that occur to me as I am reading. In addition to the margins, I write big-picture notes for each case at the top of the case. That way, when I have a pile of cases, I can easily see what is important from that case for the particular project. That is, I know which issues are relevant to each case. I also have a legal pad—each one devoted to a separate case. Wherever the next blank page is, I title it “Notes for Brief” or something generic like that. These notes are just for me, so it doesn’t need to be elaborate. As ideas occur to me that I don’t want to forget, I will write them by hand on the legal pad, sometimes with case or brief cites if that is where I got the idea. I use the legal pad because if I am at a coffee shop, reading from the patio in beautiful San Diego County, or at some location where I don’t have my laptop with me or out, I don’t want to destroy the flow by finding an immediate electronic source for my notes. Because my handwriting is terribly difficult for anyone but myself to read, this approach also acts to keep my ideas secret until the brief. This isn’t my intention, but there has to be some upside to poor handwriting. I also create a file in word that I use for notes for the brief. These notes are more organized than the legal pad, which mostly serves to preserve ideas as they come to me. I will create headings and subheadings for the various issues that we will need to address in the brief (i.e. standard of review, antitrust injury, anticompetitive conduct, etc.). Under each heading, I will add the relevant notes from the legal pad and anything else that I think is important to add. The notes in word might include mini outlines or statements of the theme I develop during the reading process. The reading phase is essential. Not only does it provide the education that is necessary to produce the brief, but it prompts a brainstorming session that leads to my best ideas (followed closely by the shower, driving, and exercising). It takes time to come up with the best theme and that evolves during the reading phase. So when you read, you aren’t just reading, you are thinking. Rarely do you start legal research from scratch; nor should you. If this is an appeal, you have cases from the lower court ruling and the trial briefs. If you are responding to a motion to dismiss, you have the cases in the motion to dismiss. If this is the first brief for a case—maybe it is the motion to dismiss itself—you can turn to your memory of prior cases or a prior brief. If you don’t have anything, you should start with a treatise on the relevant subject matter. I personally really like the Antitrust Law Handbook published by Thomson Reuters. Wherever you start, read a few of the primary cases to get some flavor for the issues. Then, relatively quickly, turn to a treatise of some sort to obtain an overview of the area—even if it is an area you know. You will be surprised what isn’t fresh in your memory. During this process, I am learning the issues, but also collecting the pool of the most relevant cases. If I am reading one case and it cites a case that looks really important to the issues, I will write down the case cite and print it out. By doing this, I will usually discover much of the universe of relevant cases. The next step for me is legal research. Many people start with this step, but I think that legal research before you educate yourself is not as efficient and productive. Once you’ve read a handful or (usually) more of some of the primary cases, you will have a better idea what to look for in the electronic research. For electronic research, I usually begin by looking for cases that have cited cases that I have already identified as some of the primary cases. That expands my universe of cases. Keep in mind, I’m not reading everything. With experience comes judgment. Then—and this is getting close to the end—I do some searches to make sure that I didn’t miss anything. Usually there are a few cases—often newer cases—that come up that didn’t arise from the prior methods. Most people start with this, but I think that is a mistake. I also search in law reviews for articles that are on point or that might articulate useful arguments that are worth using or citing. Of course, for smaller issues, especially procedural ones, I might go earlier to legal research, usually after reading what Rutter, Moore’s Federal Practice, or Wright and Miller have to say about it. How do I know when to stop? This is a tough question, as you could research for a really long time and blow past the deadlines. If that happens repeatedly, perhaps academia is a good route for you? The answer is that when you start to see all the same cases and stop seeing cases you don’t recognize that are around the point, you have come close to the end. Again, experience helps here. As I am researching, I am also reading (and sometimes finding new cases), and at the same time, I am adding to my notes in both Word and on the legal pad. At a certain point, I am done researching and ready to write. I know this point because the core theory of the brief is crystalized in my mind (and in my notes) and I am not seeing much that is new or useful. As an aside, some people start writing much earlier and just revise heavily as they research. That is fine for them, but doesn’t work for me. I want to know my core theory before I write because all my writing depends upon it. I don’t know the core theory until I process everything. I usually have an idea of it very early—especially as I became more experienced—but the theory evolves every time as I dig in. In addition, writing a great brief isn’t just about plopping the arguments on the paper in some organized fashion. There is a lot of depth and subtlety to how you structure everything that isn’t apparent on the face of the brief. Finally, I am ready to prepare an official outline. During my reading phase, I usually create an outline or two as part of my brainstorming. But this outline is the one that I will use to write. It isn’t that detailed, yet. Some people advocate a very detailed outline, but I like to think as I write, so I leave some room for adjustment and don’t waste time outlining every single argument in a section. I write the introduction last because I will know the most about my core theory and the issues after I am done writing. And the introduction has to be just right. Otherwise, I go section by section, not necessarily in order. So I guess, in at least one way, writing an antitrust or appellate brief is like making a movie. For each section, I pull out the printed-out cases with my many notes and highlights that relate to each section. Based upon my notes (including my notes on the top of the cases), I know which cases I want to consider for inclusion in each section. For large briefs, I might even mark cases with letter designations for issues (some cases will apply to multiple issues). As I begin each section on an issue, I review by (1) looking at prior briefing on that issue; (2) reading the trial court decision on that issue; (3) skimming the cases I’ve designated as potentially relevant to that issue; and (4) reviewing my notes related to that issue. Then I write a more detailed outline for that issue. The writing is both the easiest and the hardest part. As you can tell—since we are nearing the end of this monstrous blog post—the writing comes after most of the work has been done. It should flow from the preparation. Like much of life, preparation is almost everything. So, in that sense, the writing is easy. But at the same time, the writing part is the hardest. Writing well isn’t easy, no matter how prepared you are. The words might flow, but to write a great brief requires an incredible amount of concentration. You must pay attention to the arguments, obviously, but also the subtle issues of persuasion—your word choice, the order of your issues and argument, your style, the level of formality. Everything matters. Writers of great briefs incorporate many decisions into the text that aren’t always apparent from the surface (which can make thoughtless editing damaging). But they matter—sometimes more than the arguments themselves. This article is already really long, so I won’t go into much further detail here, but I recommend that you read The Art of X-Ray Reading by Roy Peter Clark, which explores similar issues in literature. It is remarkable the depth of thought that goes into great writing. Legal writing is no different. As I write, I go section-by-section, digging deep by reviewing the issue for each section as I go. I prepare a more detailed outline for each section, but I allow myself to depart from it as I learn from the writing. Sometimes an argument “just doesn’t write.” You can’t force it. 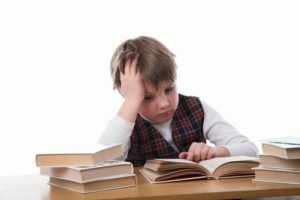 This can become an issue when a senior attorney tells a junior attorney to write a particular argument, the junior attorney sees that it doesn’t work, but then forces it because the senior attorney insisted upon it. Communication here is vital. It is hard to write a persuasive argument that you don’t believe. Once I finish the substantive sections, I work on the introduction. I have been thinking of the introduction, which is the embodiment of the core theory, from the beginning. I might sketch out pieces of it as ideas come to me. But the introduction is the section that can leave you staring at a blank page if you don’t know how you want to do it already. It is vital, so you have to get it right. For the introduction, you want to place everything in context and communicate your core theory very quickly. You follow that opener with a short summary that provides context for the rest of the brief. But the introduction frames everything the judge will read, so give it a lot of thought. In fact, you should be thinking about it from the moment you start your project. The questions presented, which are part of an appellate brief, are just as important as the introduction. Don’t start them with “Whether,” then ramble on for 150 words, like law schools (at least used to) teach. Some people write quickly and roughly, then edit heavily. I tend to write more slowly, which doesn’t require as much editing. But editing is obviously very important and you should have one or more strong writers edit your work. Everyone has blind spots or likes certain arguments too much or sometimes turns a phrase that just doesn’t sound right. Adding strength from other perspectives will make your brief that much better. Of course, it is important to see the edits that people make—probably in red-line—because as the writer, you know the issues best and you may have phrased an argument a certain way because of your depth of knowledge or because you were trying to persuade at a deeper level. So some edits you have to reject. Once it is ready, make sure the formatting looks great, that you review it for typos (and have others that aren’t as familiar with it review it as they will see more), then file it. At this point, besides the argument, there isn’t anything else you can do. One or more human beings are making decisions and you don’t have control over that. Focus on the process of creating a great brief and don’t worry about the result. Just do the very best you can do.